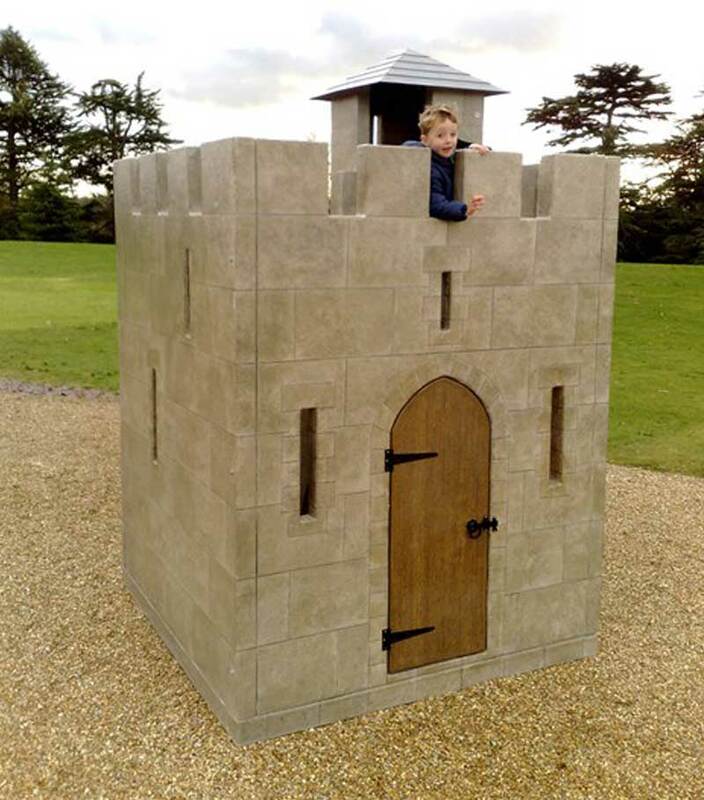 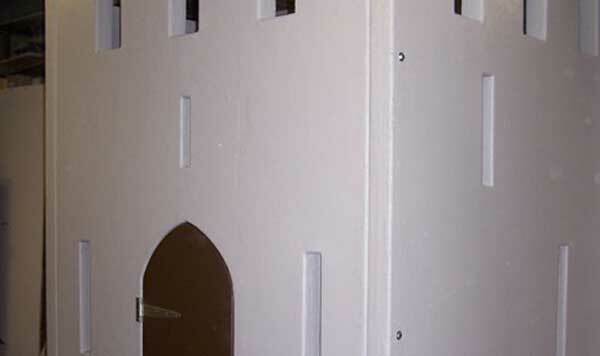 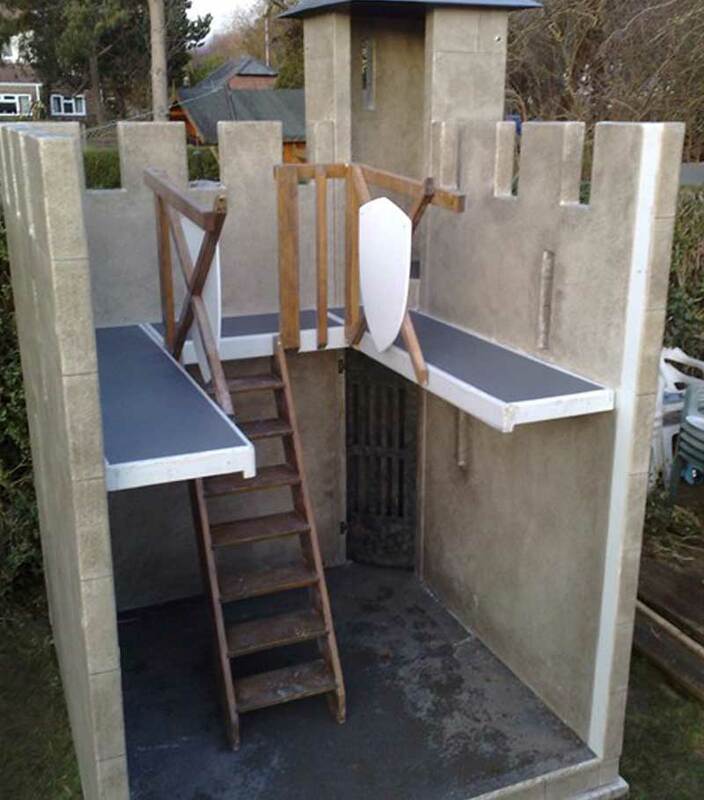 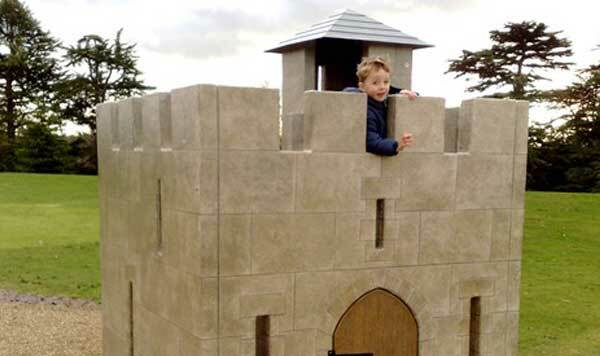 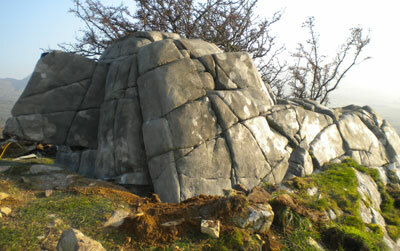 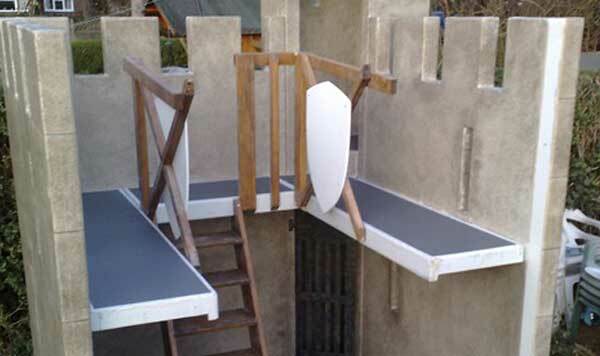 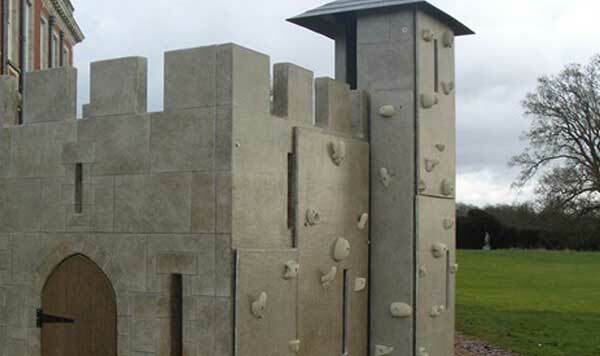 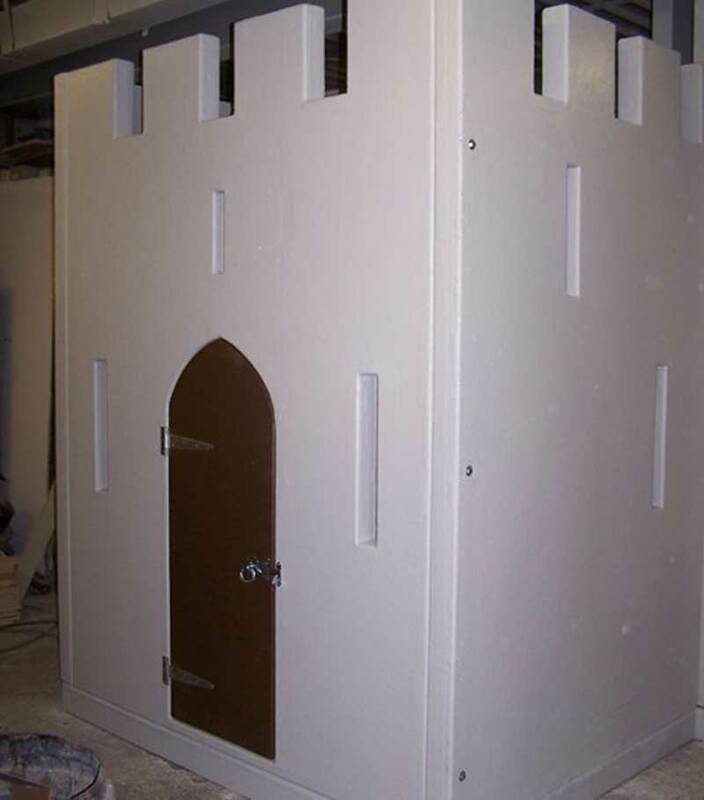 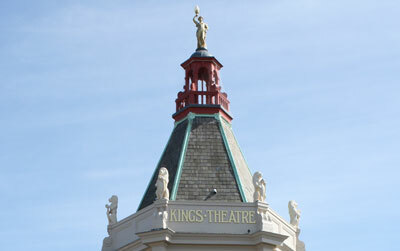 In 2009 Colin Farren (Managing Director of Jago Developments) fulfilled his lifelong dream of building a garden play Castle; having 4 daughters himself he’d had to wait until his eldest Grandson Thomas was old enough to wield a plastic sword before he could start the build of the medieval castle. 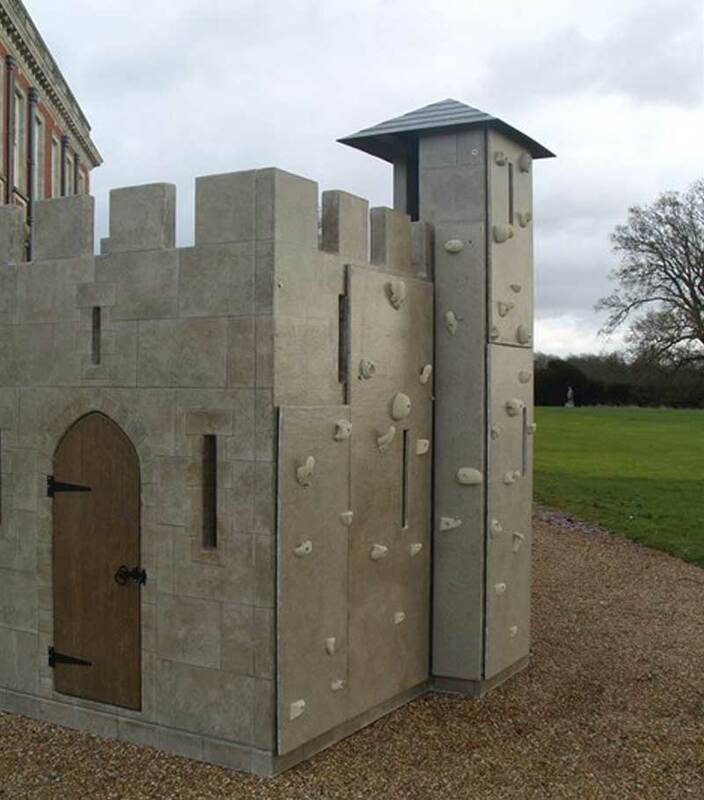 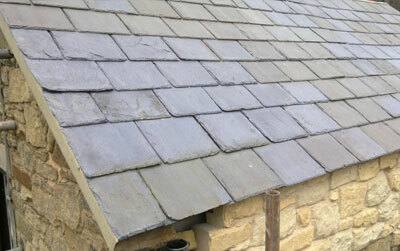 The GRP castle has its own dungeon, stairs leading up to a second floor, a climbing wall and even its very own coat of arms. 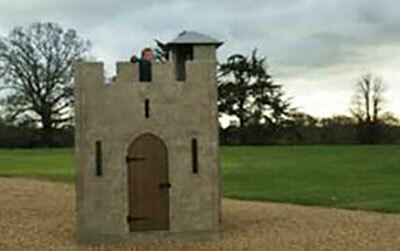 The castle was revealed to Thomas on Christmas morning 2009 and he continues to play in it to this day.